1.5m White Sky Virgin Media Extension Cable F-Type. 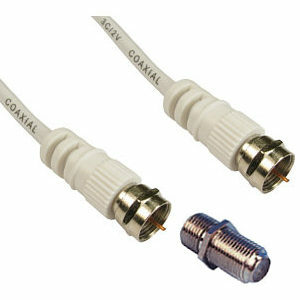 1.5m white satellite extension lead, f-plug to f-plug cable with female coupler. Megaboost Digital Aerial for UHF TV with built in 4 way signal booster. Receives all available digital and analogue TV signals. Receives both digital and analogue TV signals. Log periodic design gives consistent performance across full UHF TV band. Built in 4 way masthead amplifier - total gain 16dB. Suitable for outdoor or loft installation. 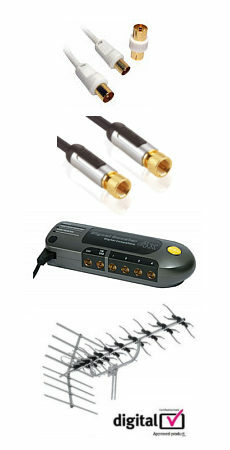 Supplied with:- Power supply, 5 F plugs, 4 weather boots, 1m fly lead, mounting pole and brackets with fixings.